We are currently offering a free download of the associated story, Teeny the Toadlet! Click here to download a copy, as well as three other stories and a free Back-to-School Guide for Parents and Teachers. In the Sparkle Sleepytime story, “Teeny the Toadlet”, Teeny is a little toadlet who is about to go to school for the very first time. When he realizes that going to Toad School includes leaving some of his friends from the pond and making new friends on land, he grows nervous. His mother reassures him that toads are lucky because they can make new friends at Toad School while keeping their old friends from the pond. This year, for the first time ever, my little “toadlet” is going to a new school where he can bring lunch from home. While it's not in my gift to make lunch box works of art every single day, I am trying to think of a few special lunches for at least the first couple of weeks. In the midst of new faces and rules and routines, I hope that it will be a midday reminder that he's loved and maybe even a conversation starter to ease the way to making some new friends. 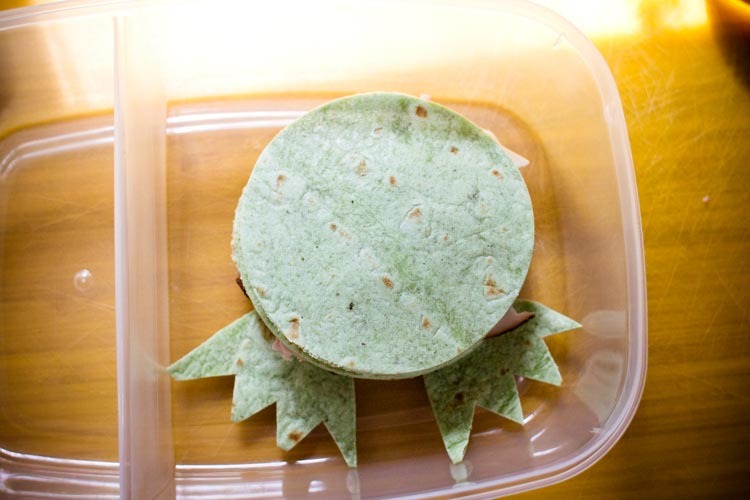 If you're looking for similar ideas to help make those starting-a-new-school-year transitions easier, give this “Teeny” sandwich stacker a try. 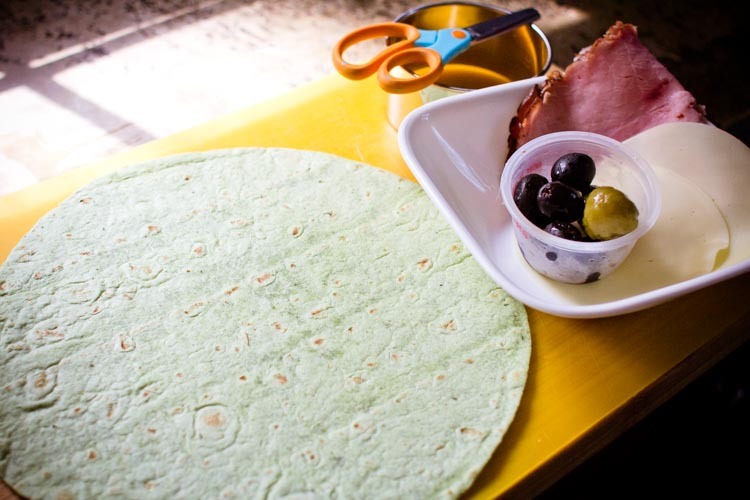 A spinach tortilla wrap does most of the work for you—just by being green—and you can customize the filling to suit your child's favorites. Here's wishing you an easy “hop” into this new school year! 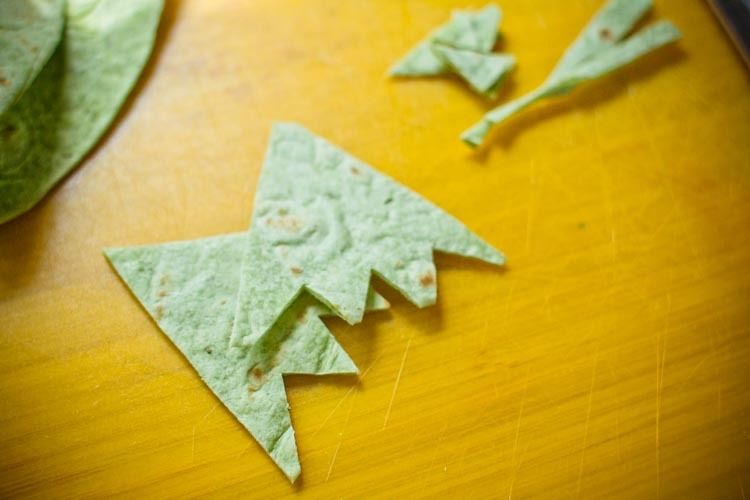 Begin by using a biscuit cutter or similarly shaped round object to cut 4 small circles out of the tortilla. 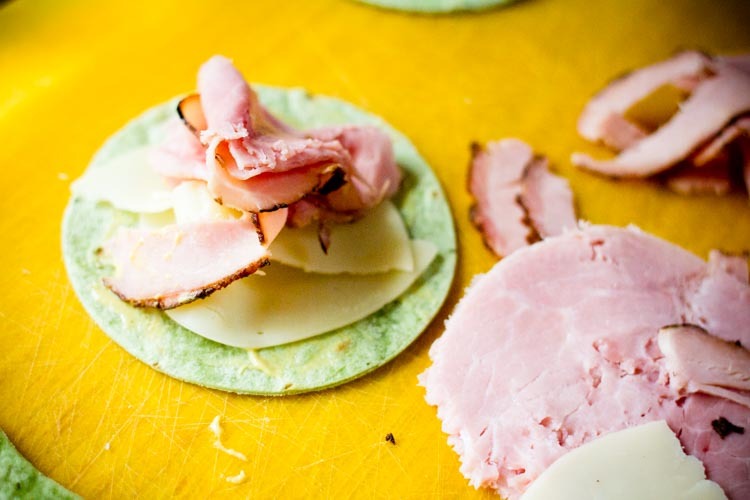 Layer a bit of lunchmeat and cheese on top of one of the circles, then top it with another circle. 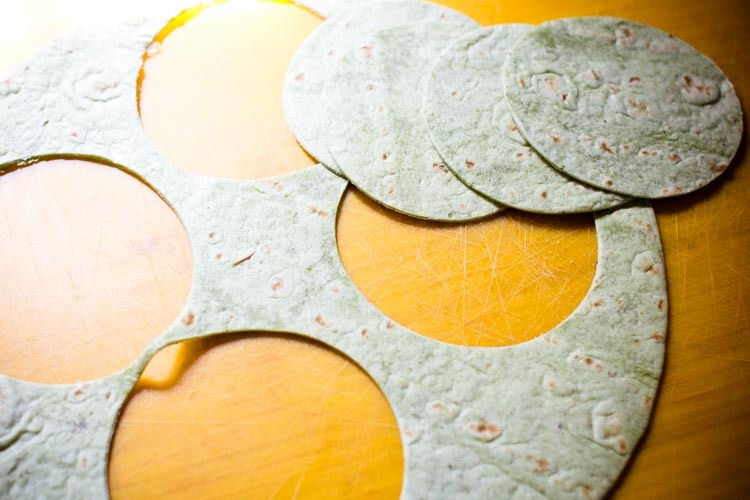 Keep layering until you've used all the circles, ending with a piece of tortilla on top. The circles will stay together better if you spread the meat and cheese right up to the edges rather than concentrating it all in the center. 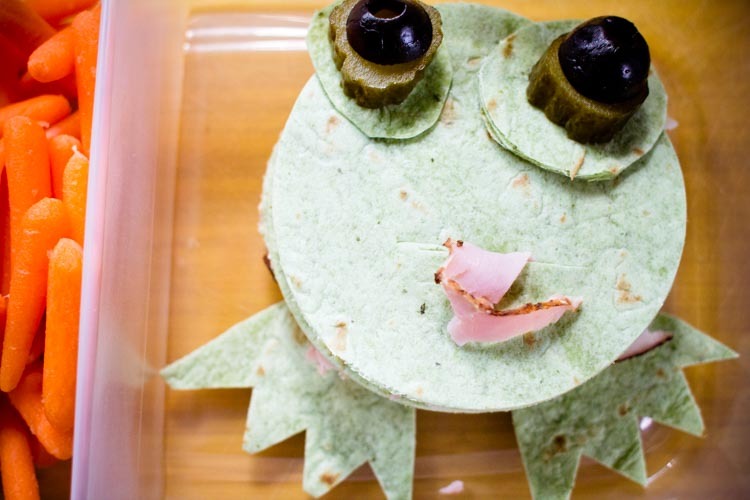 Next, use scissors to cut a pair of froggy webbed feet out of the tortilla scraps. 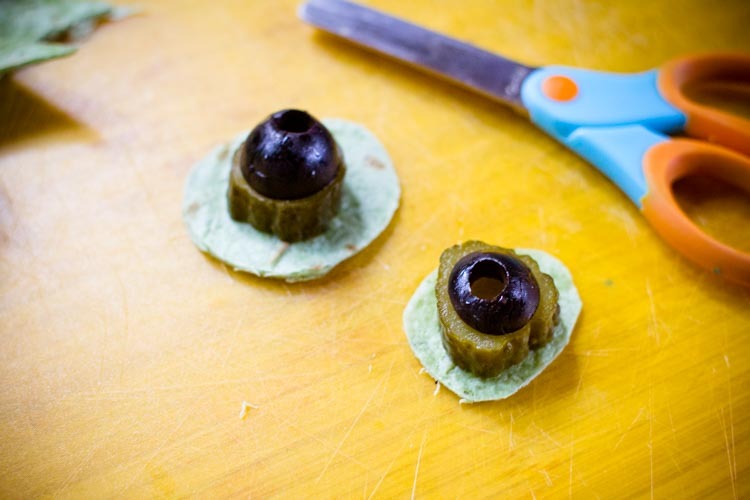 You'll also need to cut out two small tortilla circles (just a bit wider than the circumference of your pickle) to form the base of the eyes. To make the eyes, slice the pickle into rounds and cut the olive in half. 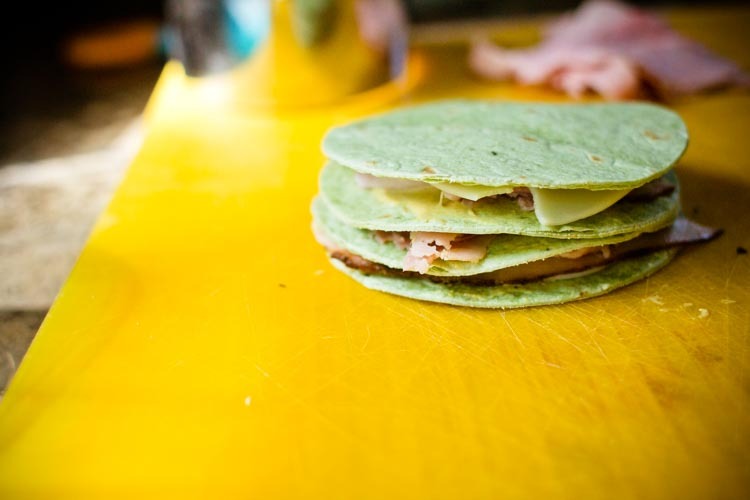 Then, make two little stacks—tortilla, pickle, olive—to complete them. Now, pull out your child's lunch container. Put the two feet in the bottom corners, and gently place the sandwich stack on top. Put the eyes on top of the sandwich stack, and use a knife to cut a small slit for the mouth. If you have a little extra lunch meat leftover, you can slip it into the mouth to make a tongue. Depending on the size of the lunch container you're using, you may need to use a few toothpicks to secure your masterpiece. 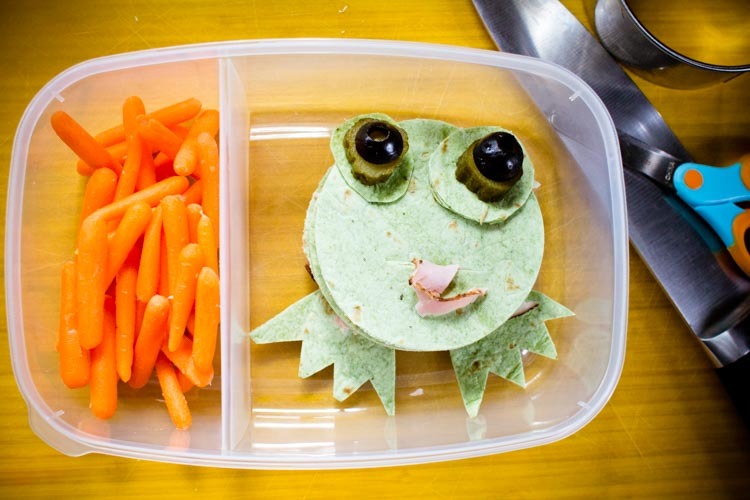 Once your toadlet is all secure and snug, pop him into a lunch box and send him off to school! Whether it is during the long, active days of summer or the shorter, busy days of winter, sometimes our little ones need some help to slow down. The stories in Sparkle Sleepytime are simple, soft and slow, all told with the aim of welcoming young and old into a time of rest or sleep. Each features a delightful young animal on a gentle adventure, and each ends with the animals snuggling into their burrows, nests or downy beds, ready to close their eyes and fall asleep. This Series is perfect for nap-times, quiet times and bedtimes – or any time you want a particularly quiet and soothing story for your little ones!